Here is the list of willow courses that we can teach. Courses can be designed for ‘Team Building’ and ‘Fun Days’ as well as for creative projects. We can travel anywhere to run a course and are available for bookings from museums, art galleries and countryside centres. We can also teach one day courses at Schools and Colleges. Living willow has rapidly become a popular garden art form for children’s play areas & for creating shade & wildlife habitat in gardens. Learn basketry techniques and have a go at making a variety of living structures such as domes, tunnels, arbors and other living garden features. You will be able to make a small living structure to take home and will work in groups to create larger scale structures. Learn how to prepare and grow willow. Enjoy an inspiring day of willow design. Learn how to make garden structures and willow edgings. Using simple techniques learn how to weave and prepare willow rods to create unique garden features. Fill your garden with your own garden plant supports and useful structures. Learn to create sculptural forms for the garden or indoor display. 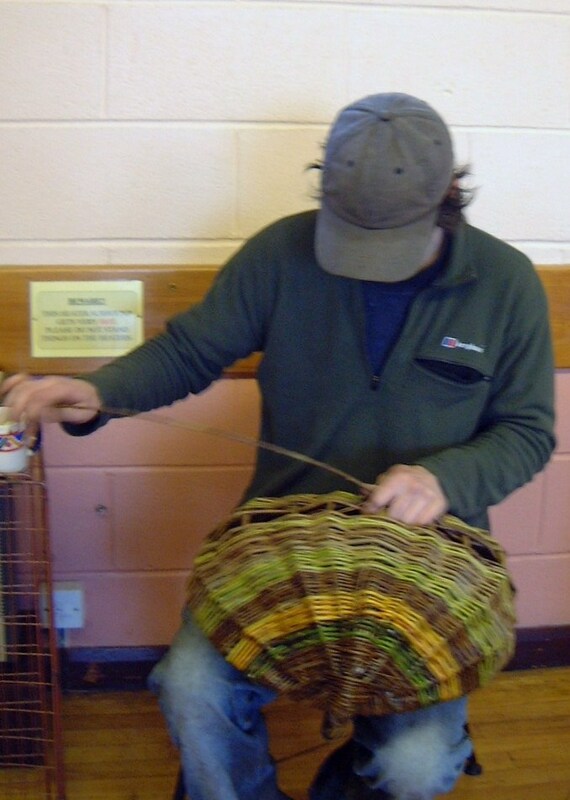 Blending traditional basketry skills learn to weave and design contemporary figures or animals. Because of its flexibility willow is a wonderful medium and contemporary art form. You will also learn how to create a willow framework and master the random weave. sticks and how to create frameworks for weaving into a willow creature. Willowor ‘wicker’ baskets are made from the shoots of the willow tree. Learn how to prepare ‘withies’ for weaving & complete a traditional basket using a variety of basketry weaves. Traditionally made from green willow for fruit pickers and farm workers. These rustic baskets are constructed using hoops, ribs and willow weavers. 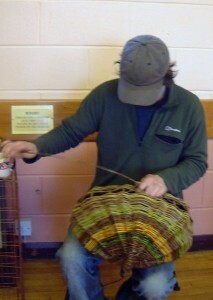 The course teaches students how to chose and prepare weaving material and everyone goes home with a completed basket. Using colorful stems and materials gathered from winter hedgerows and gardens, weave beautiful baskets. This course teaches students how to weave a round ‘stake-and-strand’ basket starting with a woven base and finishing off with a ‘trac’ border. This is a festive workshop which is very popular with flower arrangers. Using dogwood, willow and freshly gathered holly, larch sprays and other natural materials. Make decorative wreaths, balls, and stars. Children’s workshops are popular with schools and community groups. Most workshops are suitable for children from age 7 upwards. Various children’s workshops include, hearts, fish, simple baskets, lanterns and other willow shapes. We can arrange a wide variety of willow workshops by demand, as long as we have a minimum of 10-12 people, the person that organizes the course goes free! Often people host a course in their gardens, local schools or hire a village hall. Please book early to avoid disappointment.